Mohegan Chief G’tinemong/Ralph W. Sturges was the great-grandson of Tribal Chair and Medicine Woman Emma Baker. Born December 25, 1918, in New London, Ralph pursued studies in administration and criminology. That training prompted his service as a security and intelligence officer for the United States Government during the Second World War. After the war, he worked as an investigator for the Philadelphia Legal Aid Society. Returning to Connecticut in 1948 to become a paymaster in local industry, he married Ida Page of New London the following year. Their son Paul was born in 1952, when Ralph was working as a Curtis Candy Company salesperson. Shortly after that, he transferred to the George Greer Company, where he was also a salesperson. From 1955 to 1963 he directed public relations for the Salvation Army in New England Afterwards, he was employed by the Legnos Boat Company designing and building plugs, molds, and patterns for boats. In 1952 Ralph became a marble sculptor. His local artistic contributions included the donation of a sculpture of a sperm whale (the Connecticut State Animal) to Governor Ella Grasso and the presentation of a relief carving of Uncas’s Mark to Uncas Elementary School in Norwich. Ralph carved an Indian head logo (designed by Tribal member Michael Cooney) for Montville High School in 1986 and the base for the repatriated Samuel Uncas gravestone in 1992. He donated a sculpted whale for New London’s 300th anniversary and a sculpted Lighthouse to the United States Coast Guard Academy in Groton in honor of its superintendent, Rear Admiral Malcolm E. Clark, who had passed. His awards include the Catherine Duncan Prize for encouraging others in the arts (given by the Marlborough Arts Commission) and a citation from the Town of Windham, where he served as Grand Marshal of their 300th birthday parade. Today, he is remembered for successfully guiding the Tribe through the final stages of Federal Recognition (which it obtained in 1994), State Compacting (negotiation of formal agreements between the Mohegan Tribe and the State of Connecticut), and Federal Settlement Negotiations. He died in 2007 and a bronze statue of him stands—along with memorials to other 20th-century Mohegan Chiefs—in front of the Mohegan Community and Government Center in Uncasville. Mohegan Medicine Woman and Tribal Historian Melissa Tantaquidgeon Zobel holds an MA in history from the University of Connecticut Connecticut and an MFA in Creative Writing from Fairfield University; she has authored several books, including Medicine Trail: The Life and Lessons of Gladys Tantaquidgeon (University of Arizona Press, 2000) and Oracles: A Novel (University of New Mexico Press, 2004). 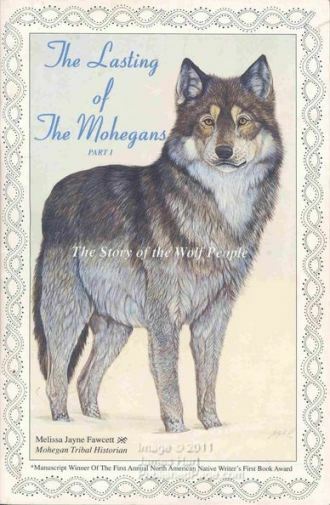 This article is excerpted from her book The Lasting of the Mohegans, Part I: The Story of the Wolf People (Uncasville: The Mohegan Tribe, 1992), which won the inaugural First Book Award from the Native Writers’ Circle of the Americas. “Ralph W. Sturges ‘G’tinemong.” The Mohegan Tribe, 2013. Link. “The Mohegan Tribe,” 2011. Link. “Tantaquidgeon Museum.” The Mohegan Tribe, 2012. Link. Fawcett, Melissa Jayne. The Lasting of the Mohegans: Part I, the Story of the Wolf People. Uncasville, CT: The Mohegan Tribe, 1995.